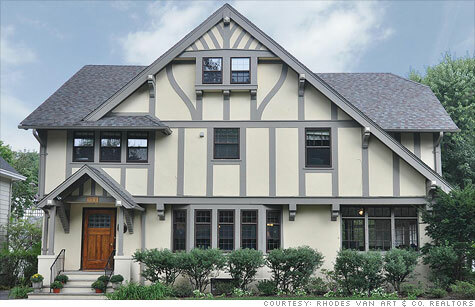 Peter and Lauren Meyer of Montclair, N.J., had to make dramatic price cuts to nab a buyer. Their starting price in February 2010 was $1.149 million. After 5 price cuts, the home sold in November 2010 for $808,000. (MONEY Magazine) -- If you're in the market to sell your home, you probably feel you can't catch a break. Nearly five years into the housing bust, when many experts thought the real estate market would at least have stabilized, sales and prices are still dropping in most of the country. You can't count on things turning around soon, either. At the current sales pace, it would take 8.6 months to clear out the 3.5 million existing homes listed today. With the boost from the recent homebuyer tax credit gone, anyone who decides or is forced to put a house up for sale enters a market where houses often linger a full six months -- even a year -- without any bites. Put part of the blame on stiff competition: Foreclosures and short sales, which accounted for 39% of sales in February, sell for about 15% less than conventional homes. "It's dreadful out there for sellers," says Patrick Newport, a U.S. economist at forecasting firm IHS Global Insight. Fortunately, there is one glimmer of good news. Bargain hunters, too, know that home prices are down some 32% from their peak. In a recent CNNMoney survey, three-quarters said that it was a good time to buy a home. But translating that interest into an actual sale can require some extreme measures. It's not enough to show buyers your house is a deal: You have to convince them it's a total steal. That means slashing your price, bringing in a pro to pretty it up, and creating a killer website for your home. Here's how to do it right. Sellers are still loath to accept the extent of the toll the bust took on their homes' value, says Tara-Nicholle Nelson, consumer educator for the housing website Trulia.com. Think you can always drop the price if your home doesn't sell? Bigger mistake. "The first 30 days on the market are the most important," says Norwalk, Conn., realtor Elizabeth Kamar. That's when your place attracts the most attention and gets the most showings. The result: You often end up with less than you would have if you priced it right to begin with, says Kamar. So get aggressive right out of the gate. Undercut your competition. In normal times listings of similar properties in your area would give you a good sense of what your home might sell for. Today there's a big gap between what sellers want and what buyers are willing to pay. Instead, figure out what you can realistically expect to get by asking your realtor to show you what houses similar to yours have sold for in the past three to six months. If more than a couple of the comparable properties were foreclosures or short sales, look closely at the photos and descriptions of those former listings. Distressed homes should be included in your comps if they are in move-in condition, says Las Vegas realtor Paul Bell. Once you have a handle on your likely sale price, list your home a bit beneath that, says Rockaway, N.J., agent Ellen Klein. You don't have to undercut by much to attract attention, because that price will probably still be about 10% or 15% below what other homes are listed for. Even if you're competing with lots of foreclosures and short sales, your price should generate enough interest to attract more than one bidder, pushing up the final price to where it should be. When Dorchester, Mass., realtor Julie Simmons wanted to sell her own home in January, she listed it at $460,000, about $5,000 to $10,000 below what she thought she'd sell for. "I knew I had to attract attention," she says. Even in a harsh winter, she received four offers in less than two weeks -- and sold for $465,000. Take out the ax. No bites within 30 days? Make a big move. "When a property sits, people start thinking it must be listed too high," says Klein. To stimulate interest, make a giant cut -- as much as 10% of the asking price, and even more in an area where prices are still falling. That should be enough to warrant a second look from buyers who passed the first time, and to bring in a new pool of potentials who are hunting in the lower price range. Last year Montclair, N.J., empty nesters Peter and Lauren Meyer decided to downsize from their seven-bedroom home to an apartment in the same town. They put their home on the market for $1.1 million, more than their realtor suggested. Six months and four price cuts later they pulled it off the market at $889,000. "At that point we wrestled with lowering the price further, but we were ready to move on," says Peter. The couple relisted their home for $799,000 and it sold for $808,000. Play hardball. It's okay to reject low-ball offers if a buyer won't budge. But if a buyer is willing to negotiate, push aside feelings of anger or insult and start counteroffering, says Mabel Guzman, president of the Chicago Association of Realtors. Ideally you'll be able to negotiate within $10,000 to $20,000 of an acceptable offer. Then, "using incentives as carrots and sticks can make it easier to reach an agreement," says Guzman. For example, if your buyer refuses to dicker, you might offer to leave behind the appliances. Or maybe you'd rather take the reduced price but have the buyer agree that you take 60 days, not 30, to move out. There are people who want to sell, and there are people who have to sell. Kathy and Rex Roberts are among the latter. Based in West Hartford, Conn., the couple, who have two children, have been living in different cities since early December, when Rex, an IT auditor, started a new job in Silver Spring, Md., after a layoff. Listed that same month, their solidly built three-bedroom 1956 colonial has had no offers, despite two price cuts (it's currently at $389,500). Between rent on Rex's new place and their carrying costs on the house, they're paying a budget-straining $4,000 a month. "We need to sell," says Rex, "but we're not willing to drop the price again." So in March they tried something new: professional home staging. Staging, increasingly popular with homeowners trying to sell mid-range houses, can extend from simply rearranging existing furniture to repainting, replacing fixtures, and bringing in new furnishings. The goal: to highlight the house's best features while making it as easy as possible for buyers to imagine themselves living there. Veteran real estate brokers interviewed by MONEY say that proper staging can speed the sale and often increase the price too. The key is to get it done right. Start with an open mind. Staging demands a psychological shift that many homeowners find challenging: thinking of your house not as your home but as a set. That means scrubbing away evidence that you actually live there. Your goal: the homey yet impersonal look of a Pottery Barn catalogue. Find the right stager. The ASP (accredited staging professional) designation is a plus -- it indicates the stager has gone through some basic training -- but it isn't essential. Get names from realtors or at realestatestagingassociation.com, then review the stager's online portfolio of before-and-after photos. Next, call homeowner references and ask how fast their homes sold after staging and whether they think the work helped. Establish a budget and ask the stager to work within it. Stagers typically charge $150 to $400 to walk through your home and give recommendations for each room. You can then execute the plan yourself or hire the stager to do it for an hourly fee, usually $100 or so, plus the cost of any new paint or furnishings. If you make big changes, costs can add up -- but "I can often make a huge difference using what homeowners already have," says Mary D. Brooks, a stager and realtor from Breckenridge, Colo.
See whether your realtor will pay. If you're on the hook for a full 6% commission, you have significant negotiating power. "I'm happy to pay for staging because I know it works," says realtor Paul Aspelin of Victoria, Minn.
As for the Robertses, after getting advice from stager Kara Woods, owner of Stage to Move in Danbury, Conn., they painted their lavender dining room a soft gray and removed excess furniture, among other things; a professional stylist redid the living room (see above). "It's incredible how much bigger and more modern it looks," says Kathy. These days it's going to take far more than a FOR SALE sign in the front yard and a spot on the multiple-listing service to get potential buyers in the door. That means getting the word out in a creative fashion -- and finding a realtor who is willing to do the same. "The more eyeballs that get on the listing, the better," says Katie Curnutte of the real estate information website Zillow.com. To do that, you need a multipronged marketing plan of attack. Create a great site. About 90% of buyers begin their search on the Internet, according to the National Association of Realtors. Make sure your home's online presence has a dozen or two photos: Having 20 instead of five photos will almost double the number of hits you'll get, according to Zillow.com. See the sidebar at right for more ways to keep potential buyers clicking on your site. Throw money at them. Incentives can perk buyers' interest just as much as price cuts, says Matt Brown, director of business development at ForSaleByOwner.com. In fact, many buyers will agree to a higher price if their upfront costs are lowered, since they often run short on cash. If you can afford it, offer to cover the buyer's closing costs or pay the first year's property taxes or condo or homeowner association dues. However, those freebies may be practically standard, particularly in areas rife with distressed properties. Be aware, though, that you must disclose any such gifts or payments when the offer is agreed on, and some lenders will not approve them. If so, you might have to find another incentive that the bank doesn't object to. Showcase super condition. Yes, some buyers are hunting for foreclosures in rough shape that they can nab for a song. Yet just as many shoppers don't want -- or don't know how -- to put in that sweat equity. So hire an inspector to identify every problem with the home, even seemingly minor issues such as dripping faucets, and fix them. "If an outlet doesn't work, why get the buyer wondering what else is broken?" asks Beth Foley, an associate broker in Holland, Mich. Tell your realtor to give anyone who tours your home a copy of the inspection report and your list of fixes. Spread the word online. Having your home listed on a major website like Realtor.com isn't enough. Ask your realtor if you'll get an "enhanced" listing on the site, where your home gets top promotional billing. Many realtors will create a website just for your home. You also want to get your listing on alternative sites like Craigslist or even Facebook. In 2009, when Karen Mauro put her small, historic two-bedroom Orange County, Calif., home on the market she thought it would be a tough sale. Realtor Lisa Blanc listed the property at $467,500 and spread the word not only through the MLS listing but also with an update on her Facebook page. A Facebook friend of Blanc's passed the info to someone she knew was looking for that kind of house. Within a week, Mauro had an offer for $460,000. Stay away -- far away. In better times you may not feel obliged to drop everything to accommodate prospective buyers' schedules. Today, if buyers can't get in on their time, they'll skip it, says Summer Greene, who manages realtors in the Fort Lauderdale area. So be prepared to show a perfectly clean home at a moment's notice. And disappear (along with your dog, if possible) for all showings and open houses so that prospects can imagine themselves in your house -- an impossible task when your family is vegging on the couch. When Betty McCoy began showing her Prairie Village, Kans., three-bedroom Cape Cod - style house, for example, she kept a list of must-do chores -- including emptying wastebaskets, filling the dishwasher, and making the bed and walked out every morning with the place spotless. On the weekend she holed up at a local mall. "Every time I thought I could go home, a new person wanted to see the house," recalls McCoy. But a few extra hours at the mall paid off in spades. In just a few days McCoy had an offer for her home -- for the full listing price.